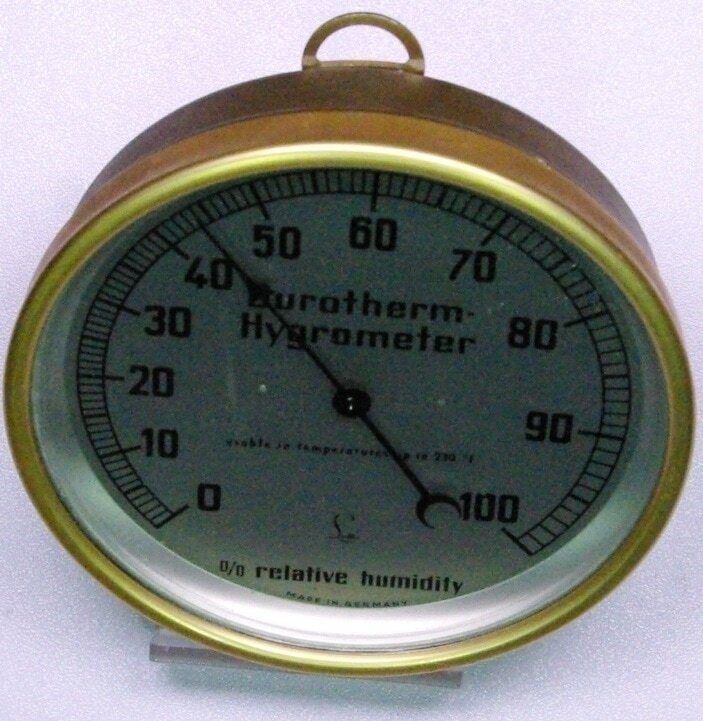 ​The 'Made in Germany' label suggests this Lufft hygrometer is newer than 1990. Durotherm is a hygroscopic synthetic fiber that is used in place of human or animal hair. The dial face is about 3.5 inches in diameter.